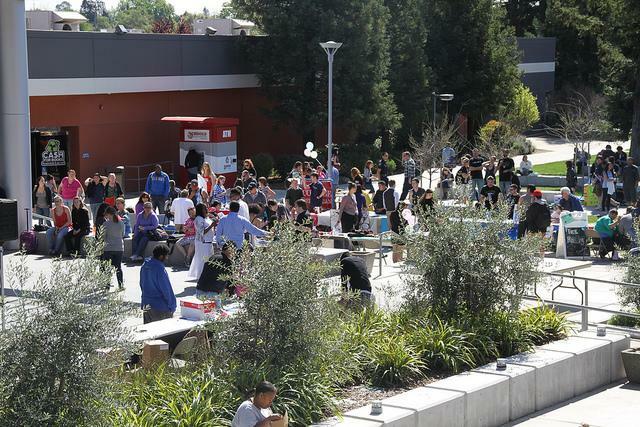 File Photo: Club Day event taken March 20th, 2014. Medieval Club is just one of the clubs that will be present at Club day themed "Let The Games Begin!" on Thursday Sept. 24. Let the games begin! Says the theme for this semester’s Club Day scheduled for Thursday. Club Day, put on by the Clubs and Events Board (CAEB), is a chance for students to see and learn more about the clubs on campus. This will be the first Club Day under CAEB President Justin Nicholson. The last two years former CAEB President Jeremy Diefenbacher has been in charge of Club Day. Club Day has been a huge success in the past and many clubs see this as their biggest form of advocacy. Previous Club Days have seen themes such as “Candyland” and “Epic Love” and this semester’s theme of “Let the games begin” ties right into a club contest that will be going on throughout the event. The contest will have clubs creating their own “board” games for students attending Club Day to play. The club with the best game table will receive $30. During its most recent meeting, CAEB appointed a contest committee that will consist of CAEB board members Laurie Jones and James Cortwight as well as club representatives Jaimie Braaten and Justice Ebeling. The CAEB board has several exciting “surprises” planned for the event, according to Nicholson. “We’re building giant tetris blocks and I heard there might even be a giant transformer on campus,” said an exuberant Nicholson. Club Day will start at 10 a.m. Thursday and will run into the afternoon until 1 p.m.
Be the first to comment on "Game themed Club Day set for Thursday"